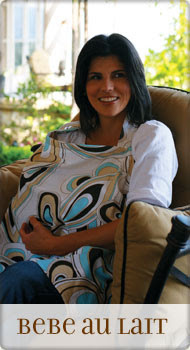 Hooter Hider Nursing Cover, Fantastic Deal! I love these nursing covers! If you have a baby, are going to have a baby, are planning on having a baby, or know someone who is going to have a baby, then this is a deal you don’t want to miss! 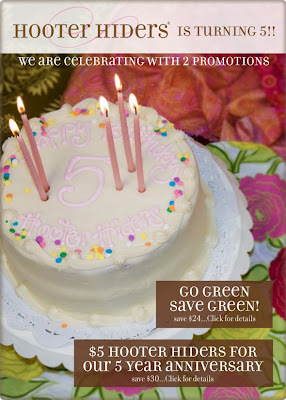 In honor of their 5 year anniversary Bebe au Lait (aka Hooter Hider) has two deals. #1 Buy any Bebe au Lait or Hooter Hider nursing cover, get the second one for $5. Plus Free Shipping! Most of the covers are priced at $35, so you get two for $20 each, which is a great price. I used mine so much I would have to say it was one of the most important pieces of baby gear I owned. You only need one? Then hook up with a friend who needs one or use the other one for a baby shower gift. They would love to get it! #2 Buy any Organic nursing cover, get a 3 pack of organic burp cloths free! A $24 value! The Organic nursing covers are $40 and again the shipping is FREE! Additionally, with every purchase you will receive a sample of Mustela cream and be elegible to enter to win a gift basket of Bebe Au Lait and Mustela products valued at $250!